This Study Guide has been revised so it is entirely up-to-date with the latest 2018 SQA course and assessment changes. Significant changes have been made to the Performance and Writing sections of this Study Guide. 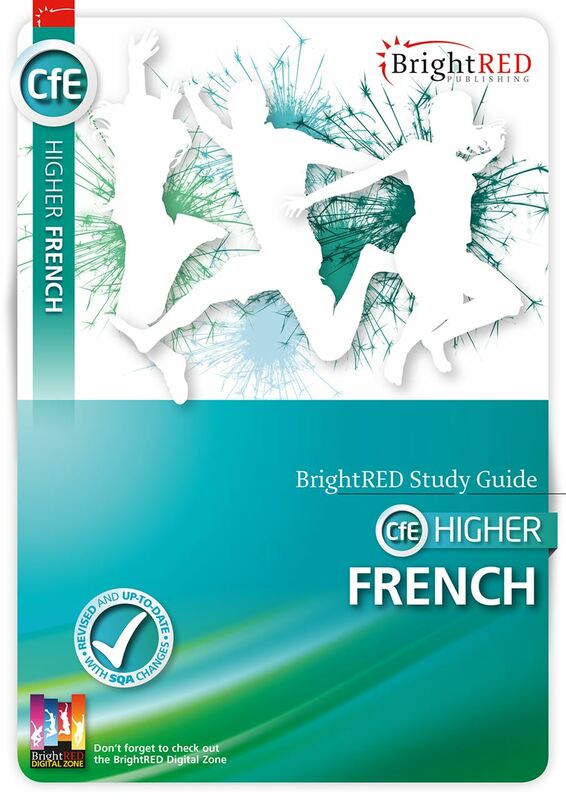 This Study Guide for CfE Higher French from Bright Red will help you achieve success by taking you through the various challenges of the CfE Higher French course. The Higher course will continue to build on the foundations laid down in National 5, so you need to ensure the basics are in place. 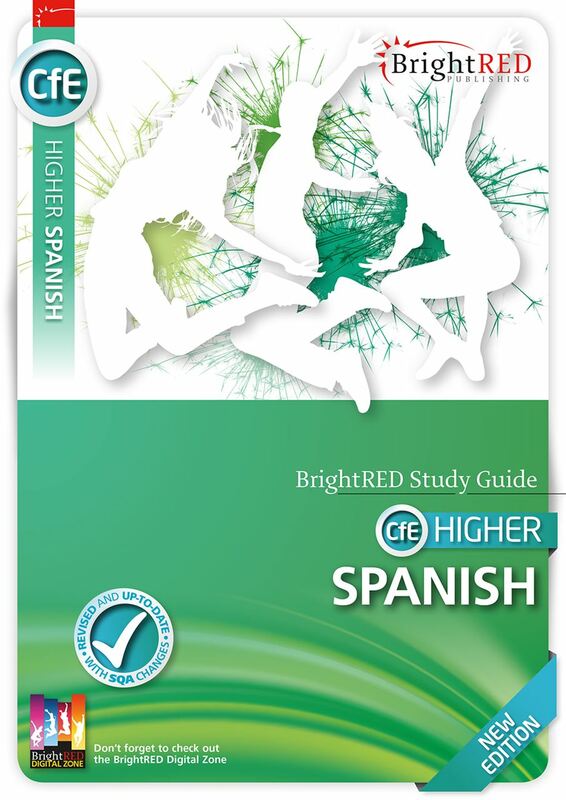 You will see in this guide how topics can be integrated and how the topics are not prescriptive. 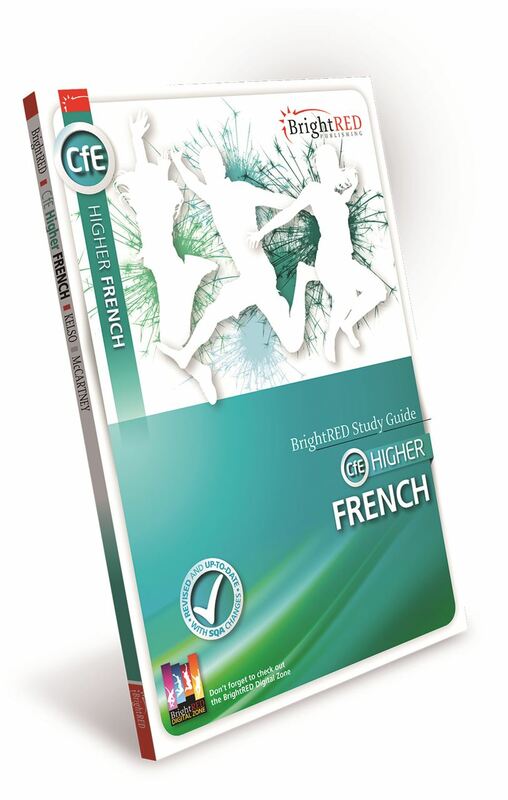 The topic areas can be explored in class and at home but the main way to achieve success in CfE Higher French is to develop the skill areas of Reading, Listening, Talking and Writing. The book will take you through your work in one year leading to the examination. It should be used to complement the work that you are doing in class. 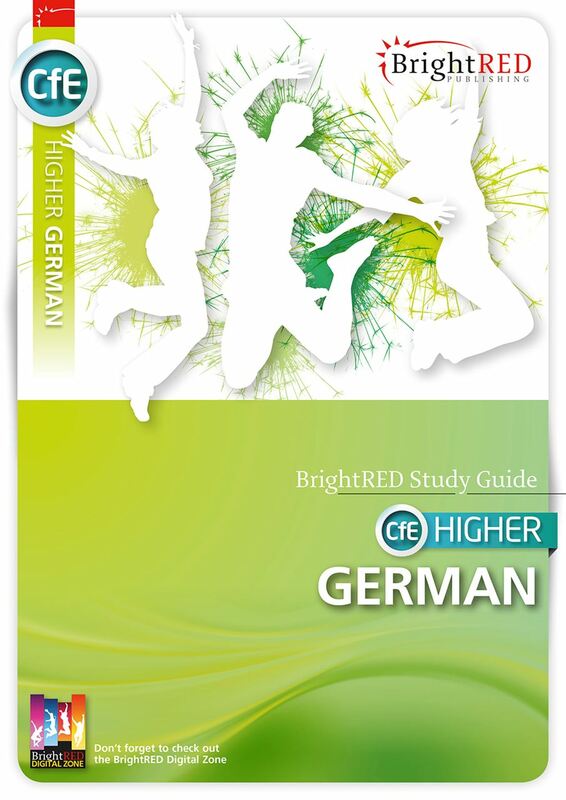 It offers you a combination of exemplar material, grammar points and a guide to revision of the topics you need to cover for the exam. It will also talk you through some techniques for improving your work as well as giving you insights into exam techniques. Your teacher will not be able to cover absolutely everything that is on the suggested list of context development, but you don’t need to worry too much about that. You will be given plenty of practice at developing your skills in reading, listening, talking and writing, and that is what counts. Our Study Guide for CfE Higher French is supported by audio files hosted on the Downloads tab above, as well as a wealth of extra material on the BrightRED Digital Zone.